In an effort to increase dialogue on the changing role of diversity and inclusion in the business world, professionals from a variety of accounting and financial services firms came together for the annual “Diversity Panel” on Tuesday evening in Old Union Hall. Hosted by Binghamton University’s chapter of Ascend, a professional association for enhancing the presence and influence of Asian and Pacific Islander leaders in business, the Bert Mitchell Minority Management Organization (BMMMO) and the Association of Latino Professionals for America, the event invited professionals from firms such as EY, KPMG, Grant Thornton and Deloitte to discuss the state of diversity in their respective firms. 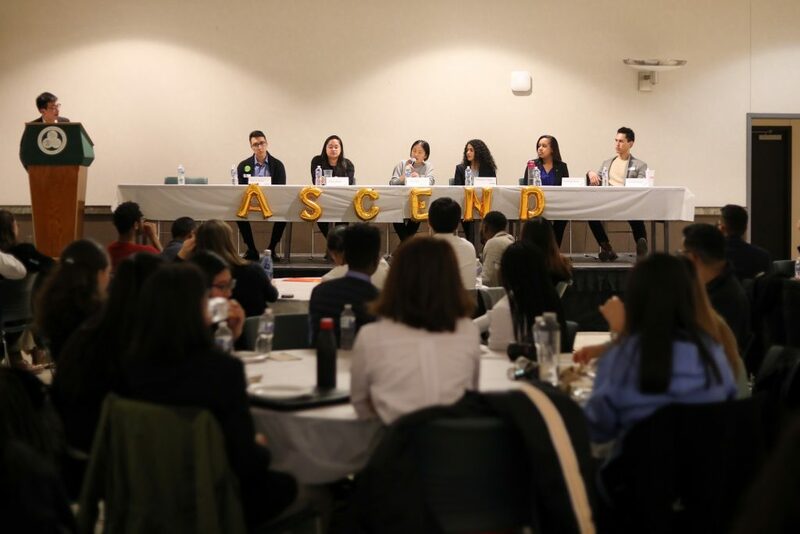 Madeleine Zhang, vice president of internal affairs for Ascend and a sophomore double-majoring in accounting and psychology, said the event intended to showcase diversity in a variety of ways. During the panel, professionals described diversity as an aspect the business world is continuously working to emphasize. Professionals emphasized the push in firms for diversity so employees recognize the value of all different cultures of their colleagues. Laura Aversano, ‘17, an assurance experienced associate at PricewaterhouseCoopers LLP (PwC), discussed the progress toward diversity in the workforce. Many of the representatives explained the different actions their firms have taken to promote diversity. Fredmary Vargas, ‘17, an international tax associate at KPMG, said her company’s CEO recently signed a new pledge to increase more diversity and inclusion at the firm. Kandace Keating, a tax intern at PwC and a first-year graduate student majoring in accounting, also described the steps that her firm is taking to promote diversity. Keating also gave students advice about challenges they may encounter. Following the panel, students were given the opportunity to ask questions and network with the professionals. Steven Lewison, educational coordinator of the Bert Mitchell Minority Management Organization (BMMMO) and a junior majoring in economics, said although he originally came to the event to support the BMMMO, he also learned a lot about diversity by the end of the program. Ninci Mathew, a sophomore majoring in business administration, said she attended the panel to hear about the different opportunities available to minorities in the business world.